Our evening grief groups typically involve 5-10 individuals meeting with 1-2 professional counsellors that specialize in helping families with children and teens adjust to the changes in their lives when someone close to them is living with a life-threatening illness or has died. All grief groups begin with all participants, counsellors, and volunteers sharing a prepared dinner together before the session commences. Every week, our counsellors will explore different grief-related topics through discussion and interactive activities. Grief is how we respond when we experience loss. Everyone experiences grief and many people associate grief with the death of someone close to them. Grief is also a common reaction when someone in their lives is diagnosed with a life-threatening illness. Grief is complicated. 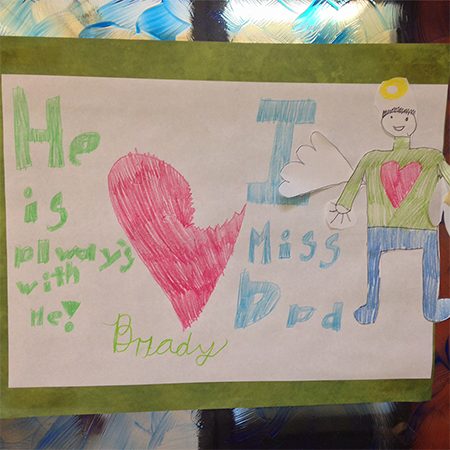 There is no one way to experience grief; members of the same family can grieve differently. Connecting with other people can reduce the sense of isolation and feelings of loneliness that often come with grief. Our counsellors can help a grieving child, teen, or family navigate the emotions and overall impact associated with grief. Counselling fees are on a sliding scale based on family income and drop-in groups are free of charge. No one is turned away due to financial difficulties as we work hard with our community partners to ensure there are no obstacles to accessing our services. If your financial circumstances change at any time, please do not hesitate to speak with your counsellor for a fee adjustment. 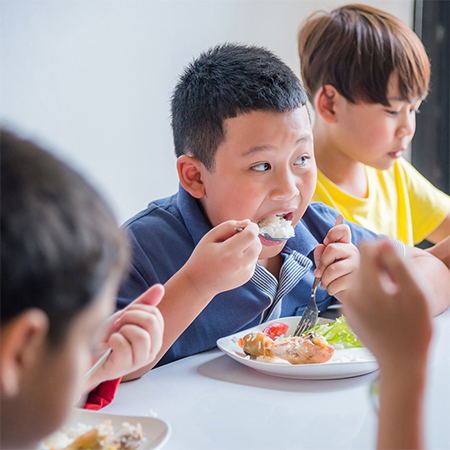 Group programs for children, teens, and families can help reduce isolation, foster connection, establish resilience, and build community. Our current group programs for children, teens and their families are listed below. This 8-week evening grief group for children in grades 1-6, has a concurrent group for parents/caregivers and presents opportunities for children to meet others who are grieving. 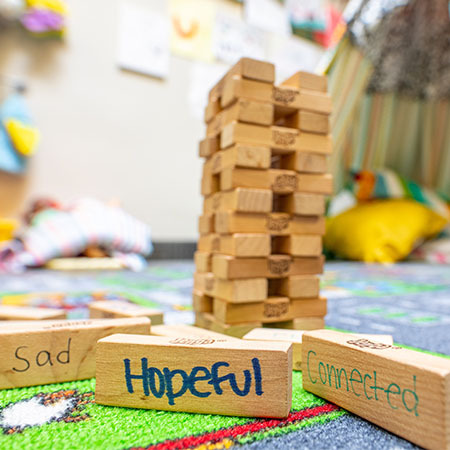 Topics of discussion in the children's group may include: exploring the grief process through the lens of children; continued bonds; memory sharing; coping strategies; and fostering resiliency. Topics of discussion in the parent/caregiver group may include: examining topics associated with supporting a grieving child; family changes; coping strategies; and self-care. 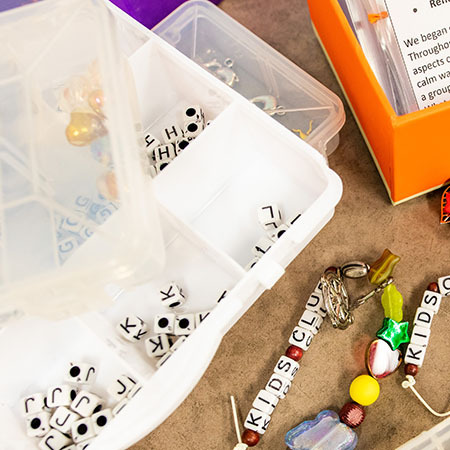 Kids Club activities may include: bead program; collage project; and memory sharing night. This 8-week evening group for teens in grades 7-12 offers a safe place for participants to explore their grief experiences with their peers. Topics of discussion may include: what is grief and its holistic impact; coping strategies; memory sharing; and family changes, both immediate and long term as a result of loss. Common Ground activities may include: journaling and creative writing; group discussions; and memory sharing night. This leadership program is offered to some of our past youth clients creating an opportunity for them to support grieving families through group activities. 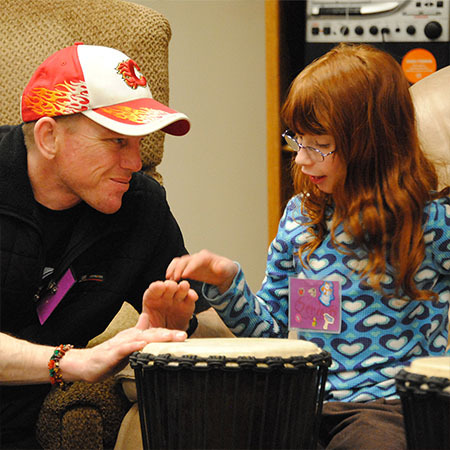 This monthly evening drop-in program for client families with children or teens, offers an opportunity to connect with others in a relaxed and supportive environment. Village activities may include: movie night; laser tag; mandala tile painting; and annual picnic.